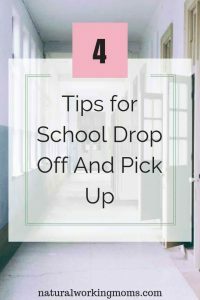 Let’s talk about the school drop off and pick up. Trying to get your kiddos to school and from school without any major catastrophes. I already talked about getting the kids going in the mornings. But this is specifically about that dreaded car line. The physical act of dropping your kid off at school. And the getting them picked up from school. Here are some tips to make this process go smoother for everyone. Or at least for you. I know, I know, it isn’t fair when not everyone is following the rules. But this is the only way to make the process better. The school administration always looks very closely at the school drop off and pick up. And they have the process that works the best. As long as parents follow it. I know there are always going to be people that pull out in front of you and cut you off. 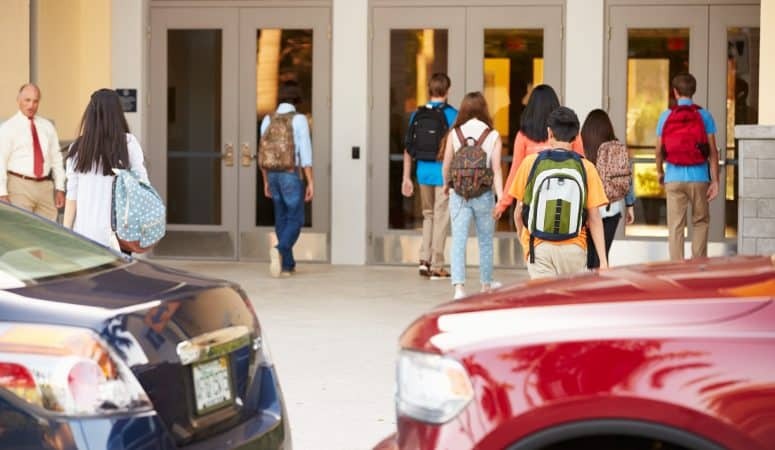 But if we can get a majority of parents to follow the rules, school drop off and pick up can go so much more smoothly. 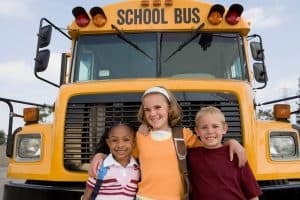 I know that not all cities have school buses for kids, but a majority do. My son in elementary school rides the bus to and from school every single day that is possible. And ours happens to be free because we live across a busy street from where the school is located. But I would pay a great amount of money to have him ride the bus just so I don’t have to deal with school drop off and pick up. My older son also rides the bus home from school if he doesn’t have an activity. We do pay for that because he is in junior high. I do not make him ride the bus to school because he would have to ride it for over an hour before getting to school. Even I am not that mean. I take no excuses of being embarrassed or saying no one else rides the bus. I do not have time for these reasons. If it is a valid reason, then I will listen. But these excuses I do not take into account. I have to take my own advice with this also. I tend to get pretty uptight about people not following the rules. But who does this help? No one. Especially if I have my kids in the car. They don’t need to see me getting upset about the school drop off and pick up lane. You need to remain calm, and then your kids will remain calm. It doesn’t help for anyone to get upset. Maybe the person who pulled out in front of you, was a grandma who had never picked up her grandchild before. Or a mama who has a baby crying in the back seat because he was woke up from his nap to come get big brother. Show those people grace because you don’t know what is going on in those people’s lives. Even though you do the school drop off and pick up every single day. Maybe those people do not. And you need to give yourself grace, just like these people. And we all know that pick up lane is confusing! No matter what school it is. So give people grace. We are all there for one reason, to drop off and pick up our kiddos so let’s all just do the best we can to give grace.